When the person you referred purchases and takes delivery of the vehicle from us, we’ll send you an email letting you know we’ve sold them a vehicle, and your reward is on the way. There’s no limit to the number of referrals you can send us, or the number of rewards we send you, we promise to provide them with VIP service. Send us the contact information of your friend, or family member who is interested in purchasing a vehicle. We’ll send you a $100 check in return! 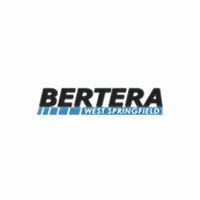 Referral program is only available to Bertera Auto Group vehicle owners.